LocostUSA.com • View topic - Inherited 7 kit, need help identifying what it is! Inherited 7 kit, need help identifying what it is! Post subject: Inherited 7 kit, need help identifying what it is! Big time car guy here. My father passed a few months ago and left a super 7 kit. I have no idea what it is, and I'm not sure where to start searching. If I can figure out what it is I can do some research and fill in the details for the new owner. It is for sale, if anyone is interested. Comes with a ton of parts. Post subject: Re: Inherited 7 kit, need help identifying what it is! Welcome. You may well find a buyer a here and I think someone will be able to ID it for you. Posting your location and a possible price would help. Also other parts you have. It looks pretty complete. Is there a motor and transmission? You need to get two posts approved here to get full posting rights. Posting your location and a possible price would help. Also other parts you have. It looks pretty complete. Is there a motor and transmission? Good idea, the car is located in Modesto, CA. We are asking $9000, no idea if that's fair or not. 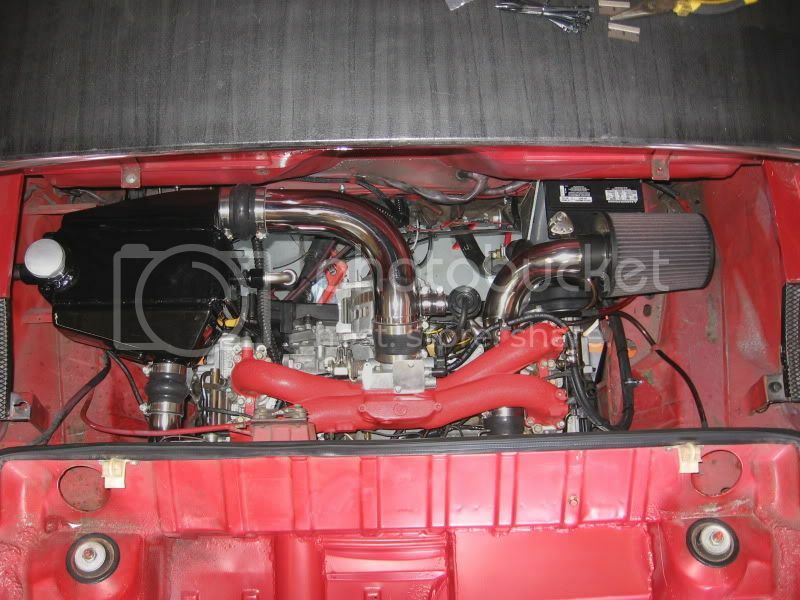 Parts include a Ford Zetec motor, Tremec T5 transmission, a "T9" transmission, a spare differential, KEP engine adaptor, bell housings, clutches, Carerra shocks, VDO gauges, windshield glass, and lots of other bits. I'll get the part pictures posted soon. I would be interested in the T9 trans. There are finished running cars for sale at less than $9K, just FYI. Oh ok, thanks for the heads up. We found the document folder for the car. All in, I think my father had about $5k in it. We also found that the kit is an R.M. Eight. Are those good or bad in the world of super 7's? I will pm some photos to you of the T9. I'm not sure the best way to ship a transmission, any ideas? I've shipped one through Greyhound before. Not familiar with that company but your pics show IRS and disc brakes so not a cut-rate effort. Bulge in the bonnet is probably to accommodate a Pinto 2000 engine as they were popular a few years ago. The newer Zetec and and T5 should make a great drivetrain, too bad he never got to finish it. I am near Lake Tahoe so can come to you for the T5 trans if we make a deal. FWIW, there have been dozens of Seven manufacturers, all with dreams of grandeur and now gone. Yes, it is a shame. He had a few projects that he didn't get a chance to finish. He passed from a disease that kills 160 people a year. I'm three hours from Tahoe, maybe we can meet halfway? Here are pictures of the T5 and the T9. You are interested in the T9 correct? The more I research, the more I'm seeing you are correct. Thanks for posting that. Very interesting to see the R.M. kits had solid axles... this car may not be an R.M. after all. Does brand of kit matter in super 7 circles? I imagine it does, since parts availability and build quality are directly affected. Suitable only for 4 cyl or small I6. I have some parts here intended for a 7'ish build of my own. The T9 might be a minor upgrade over the old gearboxes I have. Ah wait, I think I bought a pair of rear cast aluminum uprights from Canada that came from an R.M. kit? So it looks like they did also do an IRS rear. The diff and axles will be Ford Sierra/Merkur. Not common in the U.S. but there are a few around. I'm using a Merkur diff in my Trick-6 build. Another thought, the ALL fiberglass body, one-piece tilting bonnet, and IRS is not an exacting replica of an original Seven. I wonder if this is a later car RM did in an effort to get out from under the lawsuit? Hmm, not a Sierra/Merkur aluminum diff. English type R8 vanity plate. Pair of Kent cams and full Weber setup. Looks like there was a real plan to make it go. You should probably just complete it, then sell what's not needed. That makes the most sense to me. The sale listing my dad printed out was pretty convincing that it was an R.M. car. My brother and I really like it and would really enjoy finishing it in memory of my father, but we're deep into our own projects. My dad's favorite car was his WRX drivetrain swapped Porsche 914. Our priority is to keep this car mint. My brothers current project is an old Volvo 242 sleeper with a 6.0L LQ4 and 4L60 swap, this car is an absolute monster. My car is an 88 mustang built to compete in SCCA CAM-T, its about to get a coyote and TKO600 swap.